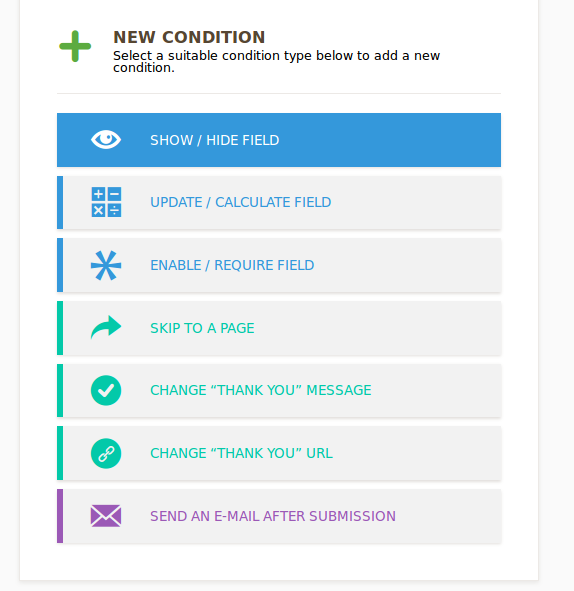 Here is a general guide on how to use the conditions wizard. 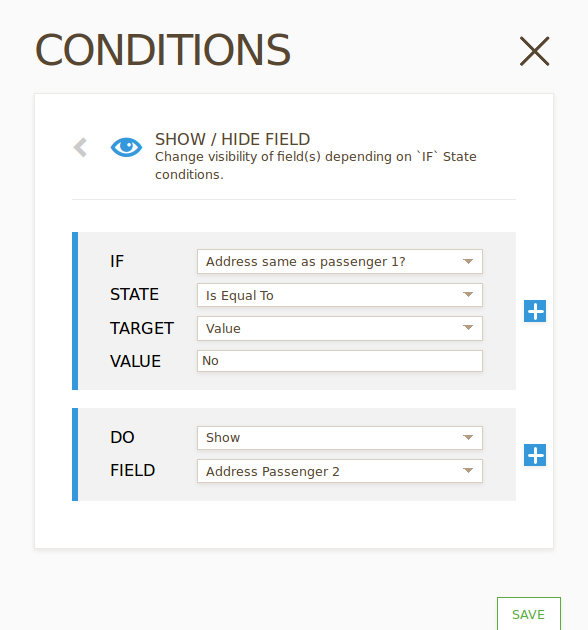 For example if you choose the "Show/Hide" fields option, another wizard will appear and you must establish it accordingly. You can explain your specific scenario so we can further assist you.